Maps are a wonderful invitation to discover a new place, full of adventures and possibilities! 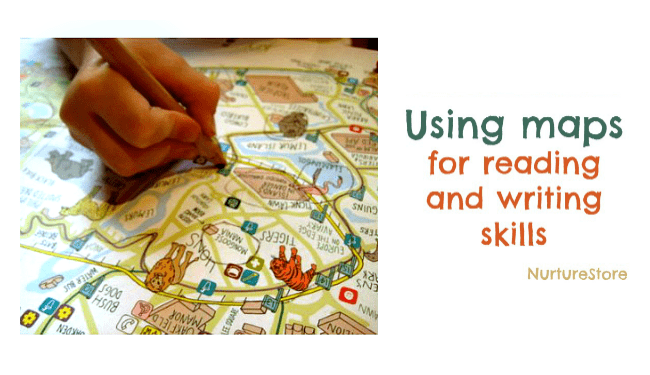 Here are five ways you can use maps for storytelling, language skills, and reading activities. 1. Giving a map to the children and following your route as you go is a great lesson in geography. Look out for landmarks, talk about left and right and the points of the compass. What words can they spot on the map to match up with what they see on their journey? 2. When you return home, use the maps to talk over your journey – sequencing the things you saw, seeing if you can remember them all. Talk about what you liked the best, what was most interesting, what was hard to find, what was the oldest thing you saw, what was the tallest: lots of chatting, boosting communication and vocabulary. 3. Use your finger or a pencil to trace your route along the map – co-ordinating your hand and eye as you move along, and practising early writing skills. 4. Use the map to play i-spy, taking it in turns to give clues and find the answer. 5. 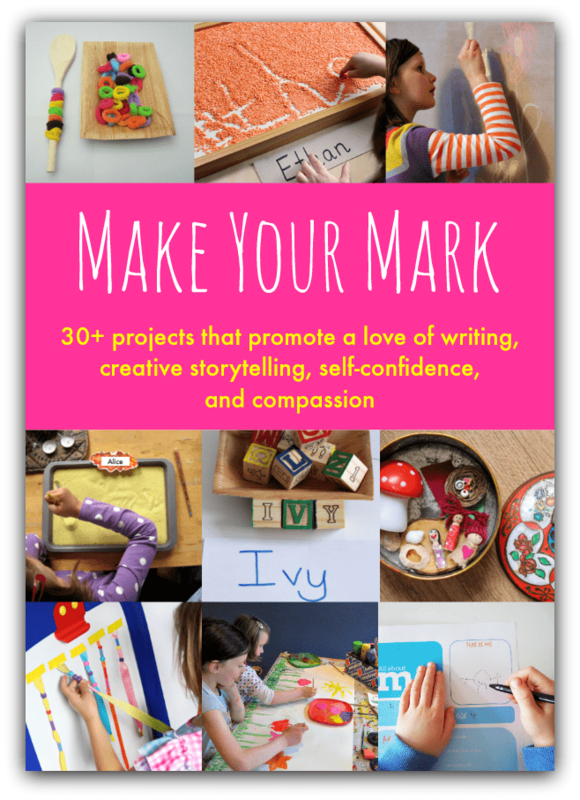 Draw a map of your own: re-creating your journey or making one up using your imagination. You could turn this into a photography project and make your own street map. Both my kids love their HUGE global geologic survey wall maps that their Grandmother (a geology nut) gave them. Our current home isn’t big enough for hanging them up, but we keep them easily accessible and roll them out on the floor every now and again. The kids love to point to the countries and regions they recognize and ask about the ones they don’t. But most exciting are the little dots that represent fault lines and volcanoes! Oh, the stories they tell about those dots! I love maps like that. I actually specifically went back into a park one time to get a map. My mom always picks up maps for the boys when they are out and about and brings them home with them. I love when they bring home a map from the zoo and we can talk about their day with Grandma and Grandpa! These are great ideas to extend that. I really like your idea to play I spy with the map. That is one of my son’s favorite games. Maps are wonderful for all ages!! We do real life math every Friday, and our older DD will be using maps for several activities this year! I love all of the ways you suggest using maps! Will put these to use with my kids soon! This is a brilliant learning activity! I’ll be on the hunt for maps now.. haha… Love it! I loved this post so much I am featuring it at this week’s For the Kids link party at Sun Scholars! Thanks so much for linking up! Stop by, grab your “A++” button to stick on your blog, and share some more of your fun ideas with us. Thanks for sharing at http://SunScholars.blogspot.com! Love this list! My girls love taking maps on our trail hikes. We always come home and trace the route we took with a marker. It’s fun to see where we’ve all been! My kids LOVE maps. Whenever we go to the zoo or a theme park where they hand out maps, I take it to Staples and have it laminated. My kids will play “zoo” or theme park and use the maps. So much fun! We absolutely love maps!!! 🙂 One fun idea we’ve done on long road trips is to personalize a google map so the kids can follow along. I agree with you- reading a map touches on so many different skills! Great idea for Google maps Becky. 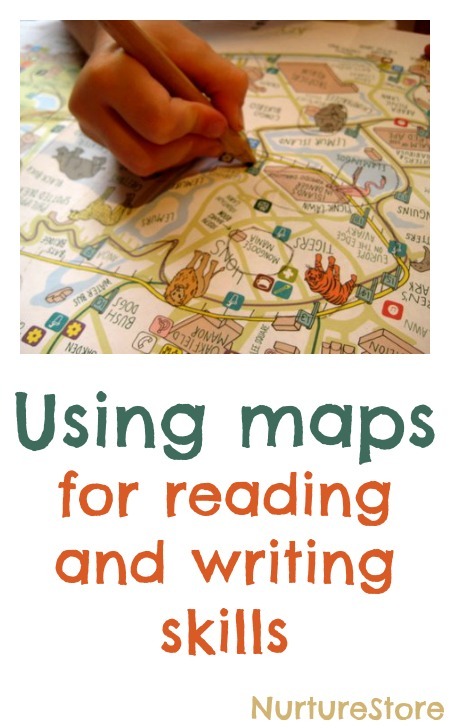 I love this idea of using maps to help students learn to read. I learned how to read when I was very young reading maps and street signs. We traveled cross country and I was my moms real life GOS. My son also loves maps. He has a giant plastic Highlights map hanging in his room. Would love to have a large one of the entire globe. We always talk about the different states but would like to be able to talk about all the countries. My daughter is doing a project all about the world at the moment Ramona, and is loving pulling out our maps to look up anywhere we’ve been .